Do come and join us on Saturday, 18 June from 12.30 to 4.30pm for our hugely popular Summer Fair. We will be hosting an afternoon of children’s activities including face painting and a variety of games and races. 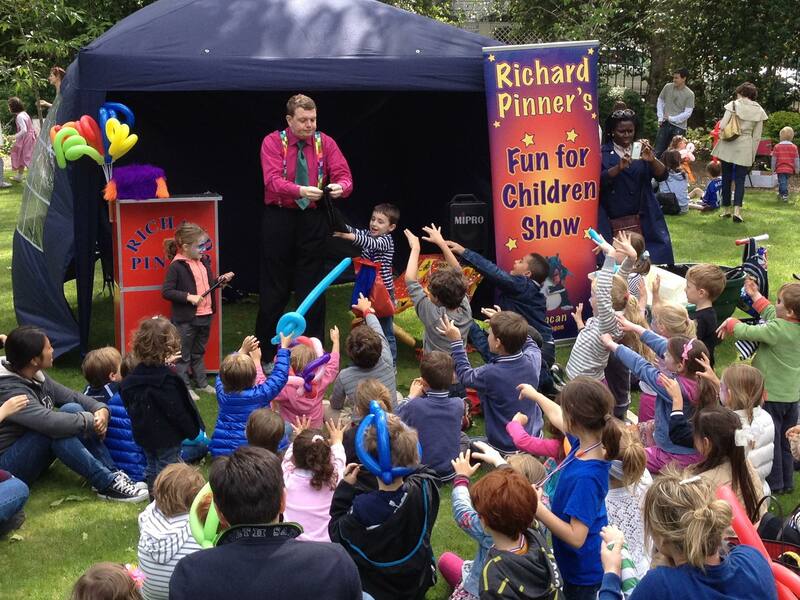 Award-winning magician Richard Pinner will be on hand to entertain. There will be live musical performances throughout the day by Pastiche and a delicious BBQ with sausages from the Parson’s Nose. Adults can enjoy wine tastings led by independent wine merchant Lea & Sandeman, cream tea as well as a Pimm’s tent. 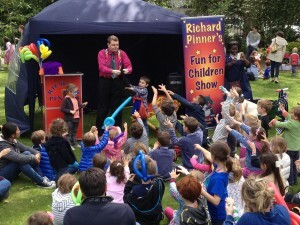 Other attractions include stalls selling bric-à-brac, books, toys and cakes. The Fair would not be complete without the chance to win some lovely prizes from the Silent Auction, Raffle and Bottle Tombola. 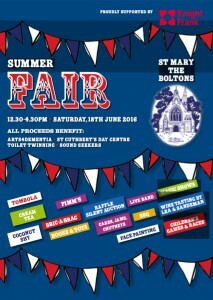 The proceeds of this year’s fair benefit Arts4Dementia, St Cuthbert’s Day Centre, Toilet Twinning and Sound Seekers.